We all have heard about the popular Hunk model from Hero MotoCorp. The 2016 facelift edition of new Hero Hunk is the one which is making news. Hero MotorCorp has now uploaded the images as well as technical specifications of the bike on its official website. The 2016 facelifted Hunk gets minor cosmetic updates, where as the major change comes in the form of a more powerful engine. The price of Hero Hunk facelift is now out. The all new 2016 Hero Hunk facelift is going to make it across the different dealerships present in India. The bike has been priced Rs 69,725 for the single disc variant and Rs 72,825 for double-disc variant. 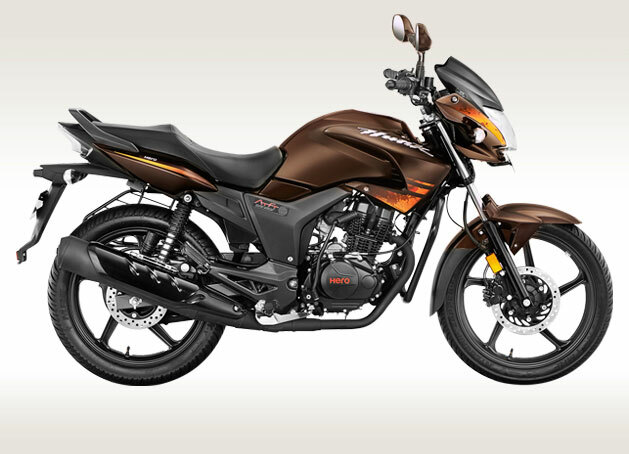 The Hero Hunk 2016 facelift would be facing a very tough competition from competitor motorcycles like Bajaj Pulsar 150NS, Honda Unicorn 160 and Yamaha FZS. Talking about the specifications of the bike – the power for the 2016 Hero Hunk facelift shall come from 149.2cc, one cylinder, air cooled engine which is equipped with an AMI (advanced microprocessor ignition system), an overhead camshaft and a new viscous air filter. The powertrain of Hero Hunk is same as that of the Hero Xtreme Sports. The petrol engine of Hero Hunk bike is coupled with a 5-speed transmission that helps in producing 15.6bhp of power at 8,500rpm and 13.50Nm at 7,000rpm. Although, Hero has revealed the images and detailed technical specification of the bike, the launch of the Hero Hunk facelift is expected by the end of December 2015. There is no official confirmation on its launch date yet. As said earlier in the post, the new Hero Hunk is going to be made available in 2 different variants – disc and drum – which are priced around Rs. 72,825 and Rs. 69,725 respectively.